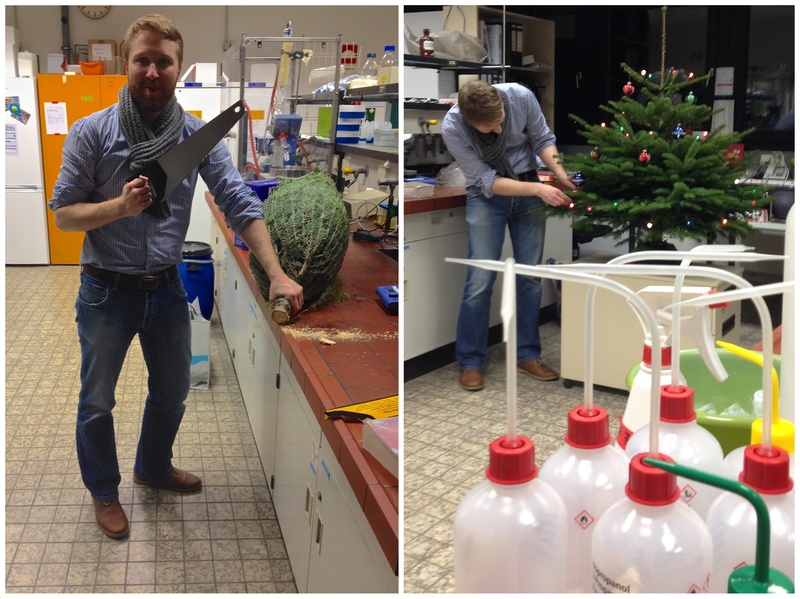 Matthias plays elf-like around with some pink explosive powder in an effort to make some christmas presents appear magically. 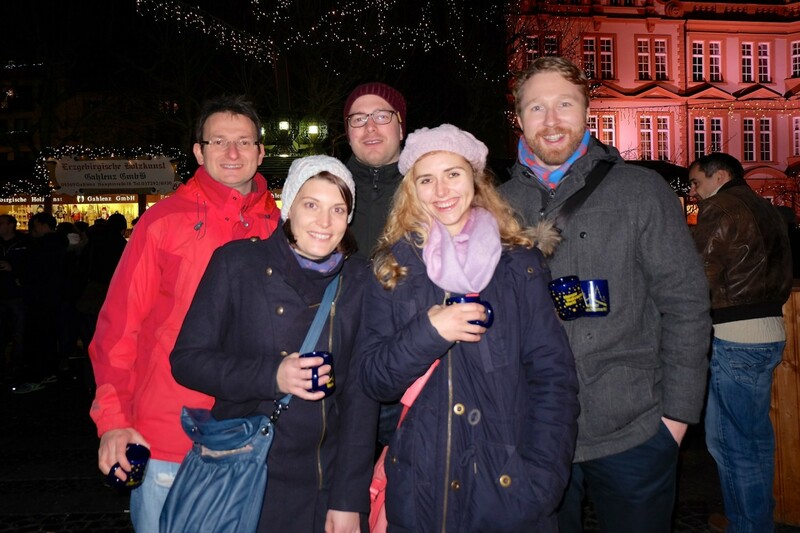 We are concluding this month with the obligatory visit of the Mainzer Weihnachtsmarkt with some Glühwein. 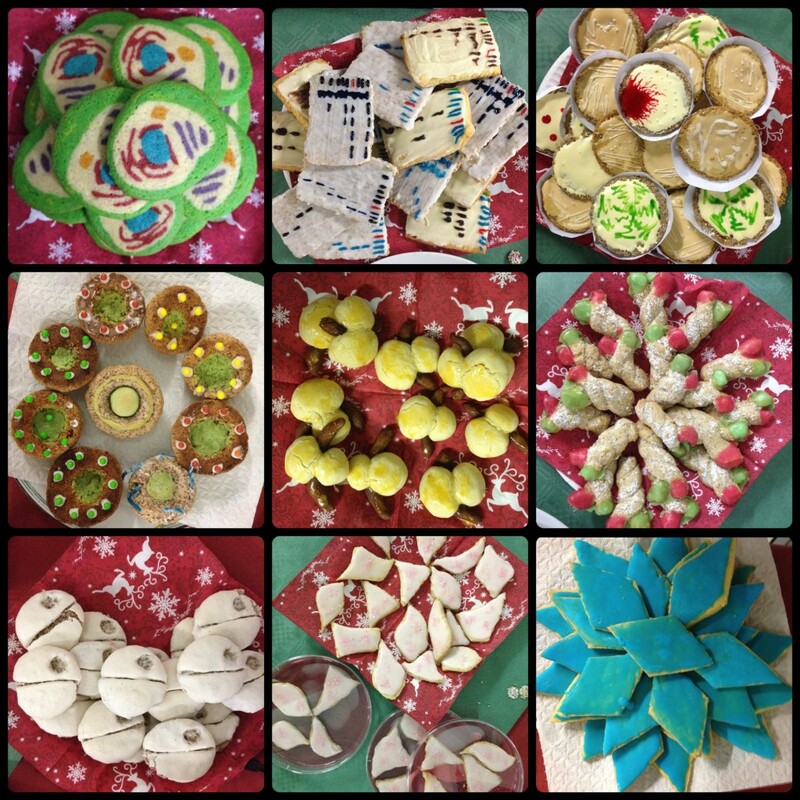 The WichLab is wishing everyone Happy Holidays and a good start into the New Year!